I was introduced to tribalism at a young age. Growing up I was incredibly close to my Grandpa, who was inducted into the Minor League Hall of Fame with the Browns, had offers to play for the Giants and, if not for injuries sustained while in the Navy, would have had a promising career in baseball. I’d sit on my Grandpa’s lap while he told me story after story. He loved the sport, and he taught his entire family to love the sport. Before we could read, my Grandpa was telling us about four-seam fastballs, Stan Musial, and the inherent evil of the designated hitter. If we couldn’t watch the game, we’d listen to the Cardinals on the radio, and were taught an expected level of dedication. If a hint of defeat flashed across our faces during a game, “Has the last ball been thrown?” he’d sternly ask, and if we took a loss he’d always remind us that “real fans stick with their teams through the good and the bad. If you want to celebrate in their wins, you need to celebrate in their efforts.” Generation after generation this “love of the game” has been a part of our family. If someone talks negatively about my team or their players, I’m quick to quip – I will drop baseball stats like Eminem drops lyrics. My house is filled with photos of the greats from every team, and if a man said, “I love Stan Musial and Christy Mathewson,” I’d consider it a proposal. I love watching baseball, I love the rush of the bases loaded and a pitcher’s count, and I love how it ties me to those I love most through so many priceless memories. Some might say that my family takes part in a form of tribalism, and they’d be right. I admit to a delusional level of admiration for the team and sport as a whole. It’s beneficial to be a part of something bigger, and there’s nothing wrong with that. Actually, tribalism is essential. However, when Mark McGwire was caught using steroids, my Grandpa wanted him gone. It was damaging to the team’s image to harbor such an individual. “But he’s on our team? !” we’d ask him. “He’s hurting our team,” he’d reply. In that moment my Grandpa taught me a valuable lessen: Dedication to the tribe is one thing, sacrificing your morals for the tribe is another. Unfortunately, sometimes the tribes we attach ourselves to become overrun with toxic mascots, dangerous leaders, and the end result is most often destructive – sometimes deadly. If we allow that tribal mentality to override our morality, we’ve already lost that which was worth preserving. Such tribalism must be shattered. There are so many seemingly innocent cases that, when compiled, bring us to the issues we’re facing today. I’ve had a rude awaking throughout this election, and it has forced me to stand back and really take a look at the big picture. Last year I wrote various posts praising and defending Paul Ryan and Marco Rubio. A lot of my readers were appreciative of my brutal honesty towards other politicians until both men endorsed Donald Trump, or – for those who nitpick – at least agreed to vote for him, and I spoke out against their decisions. Behavior like this has driven us to where we are: a place where the tribe comes before the truth. Our shift – as a country – back to this mentality has never been more prevalent. The melting pot was built as a place where the tribes were melted away under the common interest of freedom and objective law – Life, Liberty, and the Pursuit of Happiness. We now have every tool available to be an informed populous, with all of the historical warnings we would ever need at our fingertips, yet collectivism and irrational ideals are taking root and growing stronger. Historically, when a nation devolves into extreme tribalism, people accept more and more government control. Of course, the extremely obvious cases of toxic tribalism are easy to oppose. For example, the Nazis attempted to wipe out the other tribe for the sake of preserving their own. Their story is by no means an aberration, it’s just the most well known case. Genocides are always driven by the overwhelming and unchecked instincts at the core of animalistic preservation of ones own people. However, they don’t begin as “obvious” as they end. I refuse to support Trump and I’m constantly told that “He hasn’t done anything really bad yet.” To the families he threatens, I’m sure “yet” is a rather devastatingly heavy word. Of course, I’m not saying that all cases of toxic tribalism end in genocide, many end in socialism, communism, and the crumbling of our freedoms. In its most diluted political form it’s divisive, in it’s most concentrated it’s deadly; the vast chasm in between is rife with repellent options a disturbing number of people find acceptable – nay, necessary. “That won’t happen to us,” we claim. We look to our own people and respond with scornful derision over the idea that we could ever become such mindless lemmings and, at the risk of violating Godwin’s Law, such good Germans. Yet suddenly we find ourselves falling into the traps without even knowing. The nefarious and intellectual leaders begin by spreading paranoia, triggering a defense mechanism among the tribe that all too often overrides basic reasoning skills. Freedom and decency be damned, your tribe comes first. I think we’d be surprised by the sheer volume of individuals who can be manipulated into supporting – and sometimes doing – abhorrent acts, driven blindly and recklessly by pervasive rhetoric and what they wrongfully assume is guaranteed protection. We’d like to think that we don’t have people willing to commit such atrocities in America, but if this election has revealed anything at all, it’s revealed that we do. To match that hateful rhetoric we also have those who truly believe they’re doing the right thing who are ready to pull the trigger, as well. “Less guns will keep my children safe!” becomes a cry that just puts more children in danger – even their own. Now, individuals like Shannon Watts, Bloomberg, and the Everytown campaign know this, but most of their blind followers do not. The ignorant masses unknowingly spread misinformation like the plague under the assumption that they’re doing what’s right for the tribe. Their leaders have fudged the data for the sake of the agenda, and the good little foot soldiers feel like heroes as they paint their picket signs. Then we have the new Feminists and the Alt-right working as two sides of the same coin, thrusting identity politics to the forefront. Giving the ignorant a reason to exist, and a torch to carry. The result is the belittlement of women, overwhelming objectification, the undoing of so much female progress, the alienation of minorities, legitimate fear, and separatism. In the wake of such strengthened and irrational movements, new tribes of angry outcasts and hurt individuals arise from the fallout. Those born after the 1960s experienced very few historically defining moments, and those that were historically defining had very little personal impact on them. Sure, we had issues here and there, battles that needed to be fought and economic hiccups, but nothing truly devastating for the country as a whole. Nothing that shook our core, and popped the bubble we were convinced existed around our country. Advocacy had replaced political engagement because they lived in the time of relative peace and prosperity, and very little real and substantial interaction with the intricacies in the political world was necessary. While many still voted (though that dropped, as well), the personal investment in information and legitimate news dwindled because the necessity dwindled, and people became disengaged. Celebrity politicians gained an advantage because people wanted to be romanced as opposed to reasoned with, and in the 90s talk radio began to fill the information void. Instead of understanding the facts behind an issue, the populous had their news passionately delivered by opinionated talking heads. Their words carried weight, and for many these – “brilliant” – newly crowned gods became the only necessary source. As they say, in a world without suffering there is no need for God. Well, in a country without suffering there is no need for knowledge; forgetting of course that knowledge is the key to retaining that peace and prosperity. Then on the morning of September 11th, 2001 four planes were hijacked, thrusting us into one of the most devastating and substantial historically defining moments our country had ever experienced. Answers were sought without respect for America’s fundamental values, because so many had been disengaged from those values. “We will keep you safe,” they whispered from both sides of the aisle as the people – desperate for reassurance – looked to their leaders. First we came together to mourn, then we came together to fight, then suddenly in the wake of our exposed ignorance the fault lines widened between the masses, and so many were no longer just ignorant, they were ignorant and persistent in their ignorant stances. The basic instinct of protecting their tribe solidified, and now America has found her freedoms in more jeopardy than ever before. So many of our destroyed values began to surface, finally bleeding through the bandages. There are various examples that I could give regarding this phenomenon, but I’m not writing a book, so I’ll give the most – in my humble opinion – detrimental cases. Months after 9/11, the sexual abuse scandals that were protected by the Catholic church were exposed. Most of you probably cringed simply reading that sentence, but the fact remains: In a moment when so many in our country were seeking God, it was exposed (and rightfully so) that thousands of pedophiles were knowingly protected by supposed “men and women of God” – many of whom were high ranking in the church – while countless children and adults suffered all for the sake of the tribe. Families so perilously dedicated to altruism – desperate for confirmation – helped to sweep the abuse of their own children under the rug. 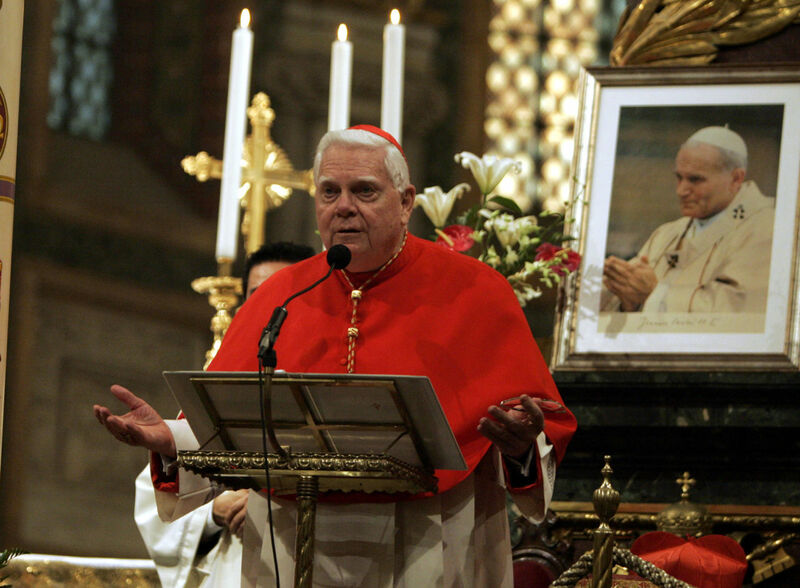 Just look at Cardinal Law: After it was proven that he ignored abuse – dare I say assisted in the abuse of over 1000 children (at minimum)? – he was still appointed as Archpriest of the Basilica di Santa Maria Maggiore in Rome. The journalists behind the story not only faced opposition from the church in their quest to reveal the truth, but also from a justice system that is supposed to be blind. So much so that a movie (which I’d highly recommend) was made about the entire ordeal. To this day, case after case – decades of sheltered pedophiles – continues to unravel. Many are probably offended by the fact that I brought up this particularly sensitive issue and, ironically, they’re proving my point about tribal mentality. The simplest reply to those who believe this is an untouchable subject: Society as a whole has an issue with child abuse, but those who abuse while acting as the “hands and feet of God” are among the most abhorrent, and those who forfeit the safety of vulnerable children for image sake are right there with them. But the most important message for the country as a whole is, however, more in depth. Many have argued, and I agree to a point, that our flee from religion within recent years has been key to fueling a dangerous tribal mentality. However, an atheist by the name of Ayn Rand outlined the basic needs in a free society: Individual rights and objective law. The case of sexual abuse in the Catholic church, and decades of government cover-up, was a direct assault on America’s fundamental concepts, exposed at our most vulnerable time. It was an attack on everything that separates our tribe as a whole from everyone else. Worse yet, it was perpetrated by those who served in government, and by those who served God. As we slept in our peace and prosperity, two of the largest institutions in our nation were directly assisting in the attack on the most important American concepts. Justice wasn’t blind, and rights were left unprotected. This was just another wave making it’s way to the shore, with so many to follow. Of course we’ve had our issues throughout history, it’s just that now those issues are enhanced by technology. Now instead of hearing through the grapevine about abuse taking place, more and more people are pulled into the circle of deceit. It is no longer a group of deceptive outliers, but instead entire institutions working against us exposed. Instead of hearing about injustice, we see it on a video, then we see perpetrators protected. Then our tribes are forcing us to take sides. This is happening throughout the United States, and instead of us coming together to hash out our differences, we’re allowing the government, talk radio, and the media to tear us apart. We’re allowing the ignorant in society to drive the repulsive narratives. Generations X, Y, and Z will go down in history as the reactionary fools who all soiled the bed and refused to accept responsibility (Timehop has proven to be a brutal reminder that I’m guilty, as well). One of the largest examples of this can be found in both the #BlueLivesMatter and #BlackLivesMatter groups. Many in the former group refuse to recognize a long standing issue: There are problems within the law enforcement community. Period. The vitriolic conservative commentators have no reasoning skills, and instead question the patriotism of those who simply pause to listen to what the other side is saying. Those are real comments I received when I simply said I was horrified by Eric Garner’s death. Flag backdrops, eagle GIFs, and the occupations of your family members become the real test of patriotism instead of how much you actually understand, value, and respect the freedoms and values this country supposedly stands for. Screw due process and objective law, I love America because I’ve got a cop in the family. While the vast majority of officers are good and decent individuals, those who aren’t have been protected for decades. No-knock raids, civil asset forfeiture, the drug war, and paranoia have gotten out of hand. The warrior cop mentality has destroyed relationships between the police and their communities, and work needs to be done to fix this issue. The #BlueLivesMatter group think that saying as such is an attack on all police officers, yet fail to see that their obnoxious stance is actually an attack on the majority of officers who are good. They’re defending the bad apple’s right to stay and ruin the reputation of the rest. On the other side we find that many in the #BlackLivesMatter group have legitimate concerns that should be attended to, but so many have gone off the rails. The movement has served as a form of protection for criminals who most likely care very little for the real victims who deserved a proper “movement” in their name. I tend to believe that Martin Luther King would see the need for advocacy, but would be ashamed of how they haven’t used their legitimate concerns to create a culture of change that people like myself – who openly recognize the issue – could be on board with. You see, both sides have decided that change doesn’t matter, protecting the tribe matters more. They’ve retreated behind their hashtags and have left us to simply shake our heads in disgust. The lines have been drawn: from professors saying that capitalists can’t respect minorities, to individuals who assume you own a Guy Fawkes mask because you recognize a problem. The people drawing these lines and making such outrageous arguments are consumed – absolutely overtaken and drained of reason – by emotionally driven identity politics that are designed to fuel the war. Both sides disregard the worth of a life for the sake of their narrative. As the bodies fall, they’re rushing to their talking points while families are burying their dead. They’re not generalizing the other side, they’re generalizing themselves. But they don’t represent rational America, do they? And if rational America doesn’t rise up and command the microphone, this vicious cycle is bound to continue. I believe that the majority of individuals want a resolution, we just need to be fearless in our break from the tribe, and we need to come out from behind our hashtags. After the Freddie Gray case in Baltimore, I took some negativity for my comments – mainly because they didn’t fit in either camp. I didn’t rush to judgement against the police, but I also noted that after researching the Baltimore PD, Chicago PD, and NYPD, that peaceful protests have been needed for years. I noted that while various high-profile police involved deaths of black men may be deemed cases of reasonable self-defense, the outrage isn’t just surrounding those deaths, it’s the culmination of ignored tragedies, corruption, and the breakdown of relationships between police departments and the communities they serve. We’ve suffered a breakdown between large institutions – designed to work for the people – and the people. Photo taken in Ferguson, MO. Chicago alone had nearly twenty-nine thousand complaints of police misconduct within a four year span, 40 percent of those allegations were never investigated, and white individuals were far more likely to receive closure on the two – TWO – percent of cases that result in punishment, despite the fact that the vast majority were filed by blacks. Baltimore has a history of corruption, including the bullying of officers who cooperate with investigators when they admit to witnessing their fellow officers commit acts of brutality. The city has paid out millions of dollars to victims of brutality every year, and “rough rides” and kickback schemes are not a rare occurrence. Throughout the country there have been stories brushed under the rug. A 7 year-old girl is killed during a no-knock raid here, an innocent man has his money stolen in the name of “asset forfeiture” there, or an innocent man is gunned down in his own home when officers invade the wrong apartment. There’s an issue, but tribalism has suffocated our ability to address this issue. Tribalism has blinded us from even having the courage to recognize this issue. Those that do are berated and attacked, and their love for the black community or law enforcement officers is thrown into the court of public opinion. The sane have been drowned out by hashtags. A Black Lives Matter supporter made a poignant and reasonable case for his side, while also showing support for upstanding members in the law enforcement community. There are other solutions to these problems. Sensitivity training. Racial tolerance training. Dash cams, body cams. All of these are good ideas. But we conservatives need to speak up and come up with these ideas. We have a stronger standing, as the law and order party, to propose reforms. And if you value law and order, you’ll recognize that lawlessness by law enforcement is not law and order. Something needs to change. Conservatism is about trying to show understanding and compassion without requiring the Government to force us to. It is about lifting people up, not lowering the bar so that they can get over it. Finally and most importantly, it is about judging people as individuals, not as a part of a collective. I think it’s about time we started listening to the tenets of our ideology. But what trends instead of pieces like the above? The vitriolic word vomit demonstrated here. Imagine what kind of change we could make if we had more people like those who wrote the articles above (or Leon Wolf, or Matt Lewis, etc.) rejecting the expected ideals of their tribes? Imagine if more people began stepping outside of their boundaries, memes, and hashtags? In a world that grows more and more cold every single day, we have to stop and realize what we’ve done, and be mindful of how we move forward. Somewhere along the way we began purchasing tribal dedication at the cost of basic human compassion. Whether it be the man from Harlem who has grown tired of being targeted, or the hero who puts on a badge every morning and truly wants to keep the peace, why can’t we search for answers that protect them both? Because we no longer find our value in our ability to come together for the good of others, we find it in the hashtags and one-liners that boost us into mascot status for our team. It’s not just these few issues, it’s the selfish mentality as a whole causing our compassion to slowly dissipate over the last few years while our dedication to the tribe has grown. Maybe it’s the 17 year-old girl who goes to apply for college only to find out that she’s an illegal immigrant, or the christian bullied for their faith, or the peaceful Muslim citizen being threatened by individuals we have placed on pedestals. From the Americans killed in Benghazi, to the child killed for her nationality in Israel, or the Syrian children being slaughtered, en masse, and the refugees who have lost it all. We have created an environment where a shrug is sufficient when the other “team” takes a loss, where we remain silent if speaking out about the truth goes against the set agenda of our tribal leaders. Or worse, excusing that which is blatantly wrong has not only become the norm, it’s become easier as we welcome dehumanizing images and delusions about those we don’t agree with. When you begin to play apologist for such toxic ideals within your tribe, you become a magnet for those who embrace their proclivities, because you give them shelter. The Catholic church was a safe place for pedophiles, BLM is a safe place for anarchists, the unwritten Blue Wall of Silence rule has created a safe place for bad cops, the Democrat party is a safe place for those who think dismembering infants in pie plates is acceptable, and if the Republican Party accepts the Alt-right, it will become a safe place for neo-nazis and racists. The truth is that those who hide behind their hashtags, their promises of walls and deportation, and those who close down dialogue about real issues and real victims, are cowards. Those who wish to remove religious freedom from the other tribe are cowards. Those who wish to remove First Amendment rights from the other tribe are cowards. Those who sit by and watch the innocent suffer and say nothing are cowards. Those who wish to push their agenda of identity politics – be it the Feminists or the Alt-Right protagonists – are cowards. Those who refuse to say when something is so clearly wrong or right are cowards. Out of irrational fear of monsters they’ve become monsters themselves. They hide behind their tribe on both sides of the aisle, led into a never ending war with their talk radio gods, celebrities, and gross lack of evidence to support their positions. They exist in a world of faulty logic postulated on a constant rearrangement of prejudices, and they will be the death of the American ideals they claim to love. I fear that if people do not awaken from their slumber and begin educating themselves on the issues we face – on both sides of the aisle – the spiral will continue. This us vs. them mentality is suffocating civilized society. Outlined incredibly well in this article, Hillary and Trump are merely the symptoms of the disease. We hold the cure, the question is if we have enough people in the United States willing to shed off their tribal allegiance, flee from their ignorance, and do what must be done to breathe life into the fundamental ideals that founded our country. I pinned my tweet of your article to my profile page; hopefully, people will read it. You certainly can make people think. I’m glad your father didn’t become a Giant, although I wish he had been healthy enough to play in the MLB. I was disgusted when MacQuire was hired to be the Dodgers batting coach. You are intelligent and do well articulating it. I have one suggestion: perhaps you could write shorter sequential articles about such important issues. Many, many people need to read your ideas. At the risk of using a hashtag: #McMullin2016. Thank you, Ron. And I’m a little selfish in being grateful that my Grandpa didn’t make it big, because he was such a big part of my life, and had he made it big he wouldn’t have been. Greatest man I’ve ever known. And thank you for the suggestion, I actually told my coblogger on here that I plan to break up the big articles like this one a bit more. You are better off just asking people to quit breathing…tribalism defines what man is all about, and why he has survived. As I said in the post, tribalism is essential. But when overwhelmed by unreasonable fear and dangerous leaders, it becomes destructive and deadly. Excellent follow up. Over the years I’ve been doing off and on research on how clannishness (tribalism) undermines the foundational concepts of our system, especially concerning how intact families encourage independence and self reliance in individuals while clannishness undermines and even overpowers the family and the benefits of being in one. Reblogged this on Laura A. Diaz ……………………………Teach Write. Well said from top to bottom. Tribalism and social fragmentation are at the cause of much of our current social issues, as is a general ignorance and apathy on the part of most Americans. Thank you for backing up your stance on this article with your recent “tweet storm”. Your words give me hope.